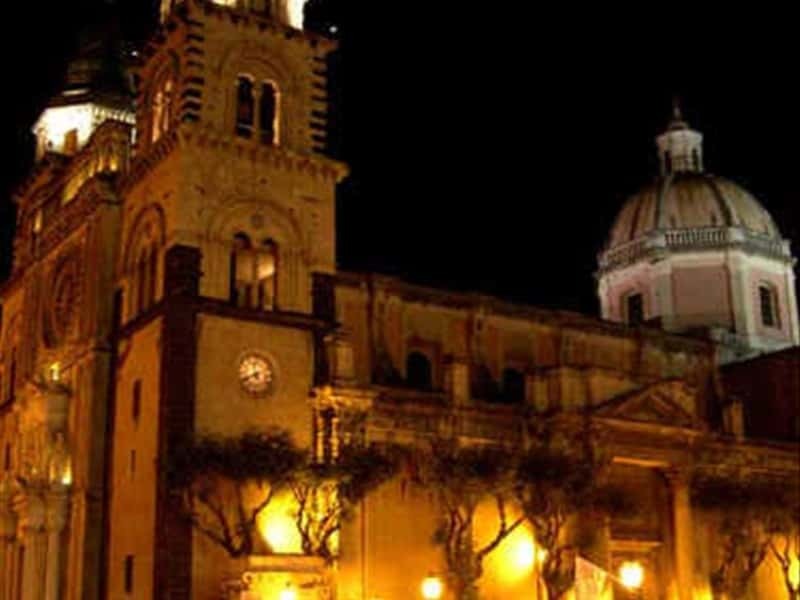 Acireale is located on a volcanic hill called La Timpa. Its history is characterized by numerous destructions, due to earthquakes and volcanic eruptions. it was called Akis by the Romans; in 1326, because of an incursion by will of King Roberto of Napoli, and the subsequent disastrous fire, the inhabitants found shelter on a nearby hill, where they founded the current inhabited center. In 1642, the town was baptized as the "Citta' Regia" (royal city) by King Filippo IV, thus the derivation of today's name Acireale. The town was destroyed once again by 1693's earthquake, and nevertheless blossomed shortly after, and became bigger as numerous monuments and cultural centers were constructed. The most important architectural masterpieces are the Cathedral, dedicated to SS. Annunziata and Santa Venera, with a neo-gothic façade drealized by Giovan Battista Filippo Basile, the Basilica of San Sebastiano, with a Baroque façade, Masumeci Palace (XVII century) and the thermal complex of Santa Venera in Neo-classic style. This town web page has been visited 47,202 times.